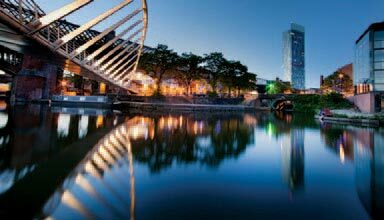 There is more to Manchester than meets the eye; it’s a city just waiting to be discovered. 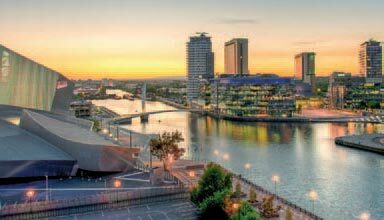 From superb shopping areas and exciting nightlife to a vibrant history and contrasting vistas, Manchester really has everything. It is a modern city that is dynamic, welcoming and energetic with stunning architecture, fascinating museums, award winning attractions and a variety of bars & restaurants. Manchester is also a hot-bed of cultural activity. From the thriving and dominant music scene which gave birth to sons as diverse as Oasis and the Halle Orchestra, to one of many world-class festivals and the rich sporting heritage. Throw into the mix an impressive range of galleries and museums (majority of which offer free entrance) and visitors are guaranteed to be stimulated and invigorated. Manchester is a compact and accessible city centre. Most areas are within walking distance of each other and from everywhere else, or if you just want to save energy, hop onto the Metrolink tram or jump aboard the free Metroshuttle bus. The Trafford Leisure Village: Offering activities as diverse as snowboarding to high ropes adventure, shopping to ski diving. Free car parking available and a direct bus link from Piccadilly Gardens. To make the most of your time - take a look at the visitmanchester.com website to find out what’s going on in the city and what to see and do. 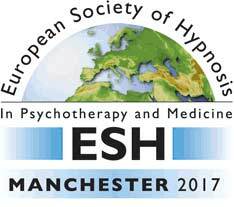 Explore the social programme recommendations and the What To See and Do pages in the Why Manchester section. Alternatively when you arrive, pop into the Visitor Information Centre on Portland Street, where the team would be happy to give suggestion and answer any questions you may have about Manchester. Book a guided walking tour of the city; or join one of the regular Discover Manchester tours departing at 11am every day from Central Library. As well as seeing the major landmarks and attractions, you will learn about the city's secrets and discover hidden gems that visitors often miss. iOS/Apple users can download the Manchester Walking Tours app by Marketing Manchester (free to all delegates) to give you a heads-up experience: plug in your headphones, pop your mobile device in your pocket and simply follow our audio directions without ever having to look down at a screen. If you do want extra guidance there's an onscreen map available at all times showing your location, tour route and tour points. Explore the neo-gothic building in a truly unique style by ascending the 173 steps, observing the working mechanisms of the historic clock and taking in the dramatic views. Many hundreds of years ago medieval barons ruled the small market town of Manchester. The bones of their world still show through in the modern city. Enjoy a guided walk through the sites associated with the bold, brilliant and occasionally barmy scientific and technological breakthroughs from Manchester’s rich history. Enjoy fine architecture, rare books and manuscripts gifted to the city by an enigmatic woman from Cuba. Prices for all the above will be available in 2017. 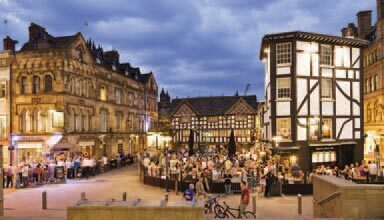 If you are looking for history, culture, shopping, theatre, entertainment or the great outdoors, whether you have a few days or just an afternoon, Manchester has it all. Options range from leisurely visits to the region's rich spread of stately homes and gardens, to experiencing the vibrancy of the city and town centres.